May 23, 2013 | Daniel A. Burton, Esq. As both the Legislature and Judiciary of the State of New Jersey have declared, domestic violence is both a serious and pervasive issue present in this State. Based upon those declarations and findings, the Prevention of Domestic Violence Act (hereinafter referred to as “the Statute”) was adopted and made effective as of November 12, 1991. Despite the unfortunate volume of cases that fall within the remedial jurisdiction of the Statute, a case of first impression recently presented itself to the Superior Court of New Jersey, Chancery Division – Family Part, in Ocean County, New Jersey before the Honorable Lawrence R. Jones, J.S.C. The decision, captioned BC-v-TG, was decided on January 31, 2013 and then approved for publication on May 3, 2013. Ultimately, the issue of first impression considered by that Court, was as follows: Whether a victim of domestic violence, as defined by the Statute, who was pregnant at the time of the act constituting the domestic violence could seek protection of that victim’s unborn child as an additional protected “person” under the Statute. In this particular case, the plaintiff was a seventeen (17) year old female who had been involved in a dating relationship with the defendant, who was an eighteen (18) year old male. The dating relationship between the parties ended shortly after the plaintiff advised the defendant that she was pregnant with the defendant’s child. The breakdown of their dating relationship was based primarily upon the disagreement between the plaintiff and defendant as to whether or not the plaintiff should give birth to the child. Shortly after the parties’ discussion and subsequent breakdown of their dating relationship, the defendant convinced the plaintiff to follow him to a location where she was ambushed by four (4) individuals acting under the defendant’s instruction. The plaintiff was beaten badly by those four (4) individuals and ultimately the defendant joined in on the attack as well. Based upon this violent, premeditated assault upon the plaintiff, she was granted a temporary restraining order, which ultimately was converted to a final restraining order, and included the plaintiff’s parents and three (3) siblings as additional protected persons. 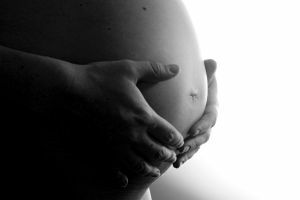 However, the issue became whether or not a provision could be included to protect the plaintiff’s unborn child from the defendant under that final restraining order. Pursuant to the Court’s opinion, dated January 31, 2013, the plaintiff’s unborn child was ultimately included as a protected person in the final restraining order by virtue of an advance protection provision which would become effective immediately upon the birth of the plaintiff’s child. This decision was based upon the premise that despite the clear and unambiguous precedence under the law of the State of New Jersey that a fetus is not considered a person, once that fetus has been born alive it “becomes a person and has legal rights which may relate to events and circumstances that transpired prior to birth. These rights include a right of protection under the law from pre-birth, wrongful acts of others.” This Court reasoned that by including the advance protection provision in the final restraining order, it properly fulfilled the intended purpose of the Statute – affording the victims of domestic violence the maximum protection from abuse the law can provide. In justifying its decision, the Court relied heavily upon the premise that this Court is a court of equity. In the interests of justice, this Court reasoned that equity required the advance protection provision so that the plaintiff would not be forced to have to come back to court upon the birth of her child, simply to obtain the relief afforded by this advance protection provision, when a multitude of other issues should be at the forefront of a new mother’s concerns.